Nat Simons and Laura Baxter-Simons have run the Sea Change Foundation, one of the biggest funders of climate and clean energy work, for over a decade with almost no public profile. The foundation has been a powerful, low-key friend to green groups, and at times, a target for conservatives. Now, for the first time, the couple are publicizing details about their philanthropy, including confirming more than $500 million in grants for climate and clean energy initiatives to date. That figure makes Nat and Laura among the all-time top living donors in this space. In a statement released to Inside Philanthropy, Nat Simons also stated that Klein Ltd.—a Bermuda-based entity that contributed to Sea Change and has drawn speculation about foreign funding of environmentalists—is directed solely by him and funded exclusively by Simons family wealth. 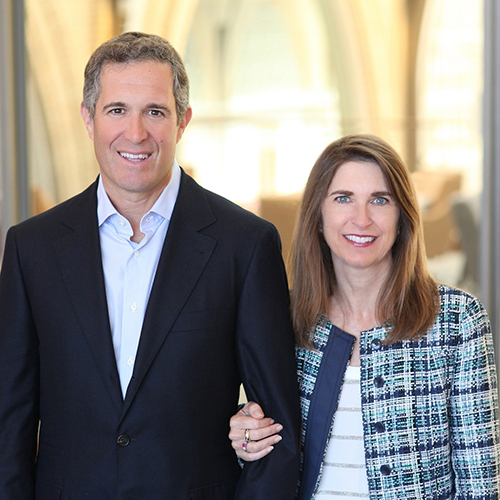 Klein has been renamed Sea Change Foundation International, and will continue as a Bermuda-based philanthropy that shares the mission of the couple’s stateside foundation. “I wish to clarify that press reports speculating that Klein has received funding from outside sources are factually incorrect and have no basis. Neither Klein nor Sea Change Foundation has ever solicited or accepted contributions from non-family related sources,” Simons said (see the full statement below). Rather, the couple said, Klein is entirely derived from a large trust in Bermuda whose beneficiaries were Nat Simons’ father Jim Simons, his family members, and charitable entities. As previously reported in the Paradise Papers investigation, Jim Simons had a massive trust that had grown to billions of dollars, and in 2010 was divided up into Simons family “sub-trusts.” All of Klein's funding comes from that restructuring, the couple said. The announcement is a move toward more transparency for the couple’s philanthropy, but also, particularly based on what we know about the size of the family’s offshore wealth, indicates substantially more climate grantmaking on the way. The Simonses said they intend to give between $50 million and $75 million per year toward climate mitigation and clean energy work for the foreseeable future. For context, the country’s largest climate funder, the Hewlett Foundation, gave $128 million to the cause in 2017. Nat Simons is a member of the philanthropically active Simons clan—son of billionaire hedge fund wizard and major Democratic donor Jim Simons, who runs a top science foundation with his wife Marilyn Simons. Three Simons children have their own philanthropies, with Liz Simons, Audrey Cappell, and Nat Simons taking on climate change, human rights, and other issues. Nat and Laura Baxter-Simons recently joined others in the family in signing on to the Giving Pledge. While they each have become forces in the various issues they fund, the family has also been touched by controversy over how the country’s richest people manage and deploy their tremendous wealth, including in ways that keep both assets and giving out of the public eye. This move marks a notable shift for a couple that, whether they wanted to or not, have become key figures in the country’s climate fight. The Sea Change Foundation does pretty much one thing—gives big funding to nonprofits working on climate change and clean energy. The foundation makes large grants, and has been known to give millions to individual groups in a given year. It's working with outside consultants and a two-person board, but nonetheless channels large amounts in a uniquely focused manner. Sea Change launched in 2006, and according to Nat Simons, has given around $500 million to date, at a rate that’s increasing. “Due to the urgency of the issue and the momentum generated by the Paris Climate Accord, Sea Change Foundation has recently materially increased its annual grant budget as it continues to focus its efforts on this issue,” he said in the statement. The strategies it's backed are not unlike what you’d see in a center-left foundation like Hewlett or Packard—a lot of working with industry and utilities, supporting expansion of renewables, and energy efficiency. One major recipient is the country’s leading funding collaborative for climate change work, The Energy Foundation, which in the latest year of reporting received $19.5 million from Sea Change. A big theme for Sea Change is collaboration. One recent initiative was participating with 17 other foundations and individuals in support of the Kigali Amendment to the Montreal Protocol, to phase out hydrofluorocarbons while making energy efficiency improvements. The foundation is also backing the Global Climate Action Summit in September, hosted by California Gov. Jerry Brown. As far as who’s guiding their funding, Simons revealed that Sea Change has a team of consultants called Tempest Advisors (see the full roster on a new website), which is led by longtime philanthropy and nonprofit leader Tom Steinbach, formerly of Hewlett, and Brigid McCormack, former executive director of the Audubon California. So Sea Change moves a lot of money on climate change, which is still a relatively small sliver of American philanthropy overall (as we’ve often criticized). But given the fairly mainstream climate solutions it’s backing, you might wonder why Sea Change Foundation has become a bogeyman among the right. And why did two GOP congressmen go so far as to call for an investigation based in part on its activity? The controversy stems from two contributions to Sea Change around 2011 totaling $23 million, from Klein Ltd., the Bermuda-based entity. The remaining $315 million-plus deposited into Sea Change over its decade or so of existence came from U.S.-based funds belonging to Nat and Laura—who've made their own wealth through the Meritage Group, a San Francisco-based hedge fund—and a couple of deposits from Jim Simons. Speculation about that $23 million has ricocheted mostly around conservative media for years. Specifically, voices on the right have claimed that Sea Change is a conduit for Russian funding of the U.S. environmental movement. And despite the lack of evidence behind it, the theory has taken on a life of its own. Claims about Sea Change and Russia cite a dubious 2014 report from the Environmental Policy Alliance, a front group run by notorious communications firm Berman & Company to discredit environmental groups. The report hinges on Russian business connections of employees at a Bermuda law firm that provides financial services, including for Klein, declaring that this “raises serious questions.” A sort of telephone game of tweets, blog posts and op-eds have followed, often misleading or vastly overstating the report’s shaky premise. The theory was resurfaced in 2017 by GOP Reps. Lamar Smith and Randy Weber, who used it as a reason to request an investigation by the U.S. Treasury. While we’re first in line to encourage scrutiny of philanthropy, there’s little to this theory, and its originators are highly suspect. Sea Change, the law firm, and green groups singled out have all flatly denied it, repeatedly. Because Klein (now Sea Change Foundation International) is based in Bermuda, it's not possible to track its activities through tax filings, like U.S. foundations (more on this later). But given what we know about Simons trusts in Bermuda, it makes a lot of sense that Klein has turned out to be merely a chunk of the family’s now well-documented offshore wealth. Along with earlier revelations around the Panama Papers, the huge leak last fall of documents known as the Paradise Papers, and the sweeping investigative reporting that followed, opened the public’s eyes to how the ultra-wealthy manage money through offshore accounts. It also shed particular light on the wealth of the Simons family, and why it stands to reason that Klein was funded by a portion of that wealth. One major story from the leak revolved around Jim Simons, who showed up as the main beneficiary of a massive offshore pot of money known as the Lord Jim Trust, which had been accumulating capital since the 1970s when it was set up as a gift by a non-U.S. citizen friend. As the New York Times and other outlets reported, the trust had built up a large tax liability were it to ever pay out to the Simons family, so in 2010, it was restructured and divided up for charitable purposes. A little over half of the sum went into a new philanthropic entity of Jim Simons’ called Simons Foundation International, which has been reported as having $8 billion in assets, more than twice that of his New York-based Simons Foundation. The remaining portion was divided among Bermuda-based trusts for the three children. The entirety of the assets in what was previously called Klein, established in 2011, comes from the restructuring of the Lord Jim Trust, Nat Simons told Inside Philanthropy. And that’s now Sea Change Foundation International, with all grants past and future focusing on climate change, they said. The Simonses declined to disclose the size of Sea Change Foundation International’s assets. They also said they see no reason to move Sea Change Foundation International out of Bermuda at this time, and expect it to focus mainly on international grantmaking. As far as we know, U.S. donors establishing philanthropic entities in Bermuda is not super-common, but it’s not without precedent. When Chuck Feeney established Atlantic Philanthropies in 1982, he set it up in Bermuda to operate anonymously and to “maximize the foundation’s endowment.” It wasn’t until 1997 that the funder ceased anonymity, and extensively documented its spending-down process in the public eye. According to Michael Pfeifer, an international income tax and trust and estates lawyer who participated in drafting of tax rules for overseas trusts, there are potential benefits to keeping such a philanthropic entity offshore, rather than moving it to the States. While each investment is different, and rules governing them are highly complex, generally speaking, Pfeifer said, advantages to a donor could include less reporting, a greater range of charitable objectives allowed, and avoiding financial penalties in moving the money. It's hard to say whether the Simonses’ effort to shine some light on their giving will stem unfounded accusations, but Sea Change’s story does say a lot about overall concerns over wealth and philanthropy in this moment, and the related problems of opacity in the sector. The revelation of a U.S. family’s billions of dollars based on an island in the Atlantic is certainly staggering in its own way, regardless of how you feel about the philanthropic causes they're going to support. The influence of wealth, especially what we don’t know about it, is a growing concern for many Americans. And the allegations that have followed the foundation, far-fetched as they may be, at least partially result from the fact that there was so little on record about it for so long. Of course, Sea Change was far from alone in its desire to stay out of the public eye. As personal wealth and the philanthropic sector continue to surge, donors are becoming more savvy about moving money in non-transparent ways, especially through the use of donor-advised funds. As a result, philanthropy is becoming even less transparent in a number of ways—and minimally, transparency is necessary for the sector to function democratically. In that sense, Sea Change is taking steps in the right direction. Even more important, though, is the message that Nat Simons and Laura Baxter-Simons are sending to other wealthy donors by publicly stepping up their giving on climate change, which is that the situation is urgent and that those who can give more need to do so. As we've noted in the past, even billionaires who've signed the Giving Pledge and publicly called climate change an existential threat are giving only a sliver of what they could—at a moment when humanity is running out of time to implement solutions to save civilization as we know it, and as many green groups complain that they need more resources. The clock is ticking on climate change, and larger-scale climate philanthropy is essential—now.